Grind it with grated coconut, chopped cucumber, cooked rice and salt adding water to a smooth batter. Add enough water to make it thin and watery batter like neer dosa batter. Heat a non stick pan/tawa on medium heat and grease it with little oil. Pour a ladleful of batter and rotate the pan to spread the batter to make a thin dosa. Cover with a lid and cook till the dosa is cooked for about 1-2 minutes. Transfer to a plate and repeat the same process with the remaining batter. 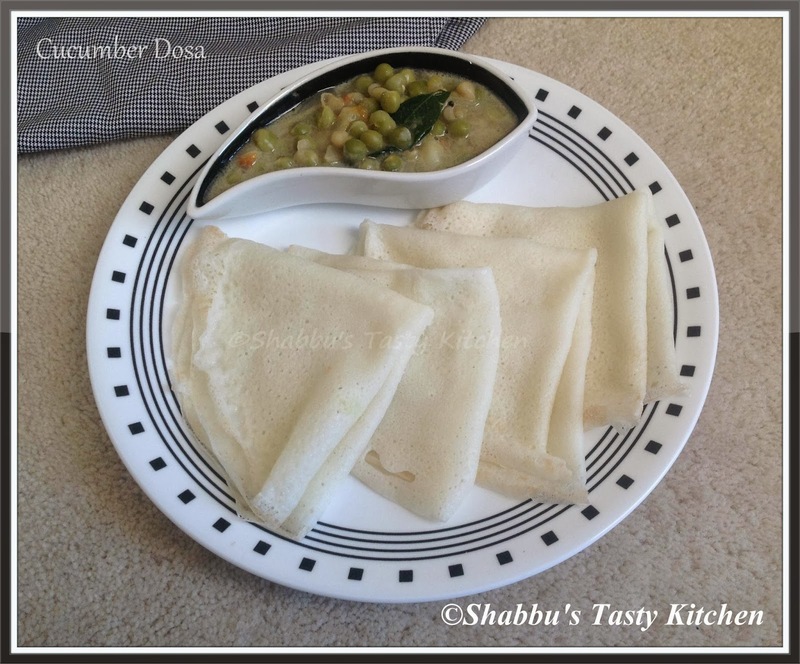 Never tried dosa with cucumber filling. In fact I have never used cucumber in cooked form . I usually have it in salads or raita. This is definitely an interesting recipe. Will try this dosa.. It is perfect for me as we don't get dals here.